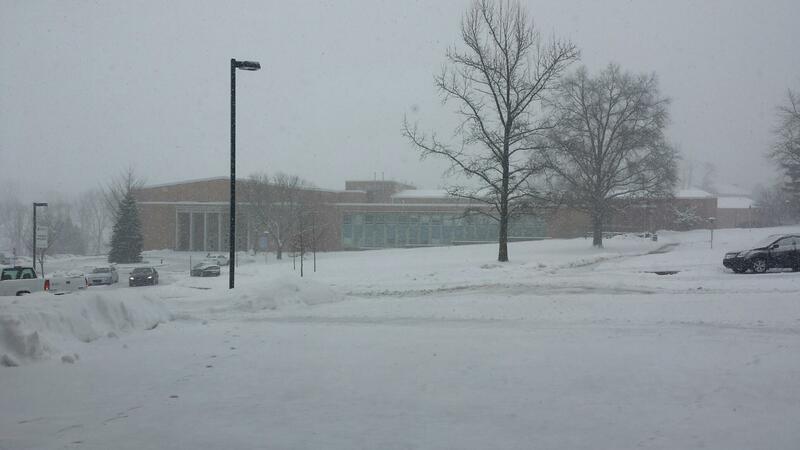 Messiah College has announced that it is closed for the remainder of Thursday, Mar. 5 due to ongoing snowfall and slippery conditions. 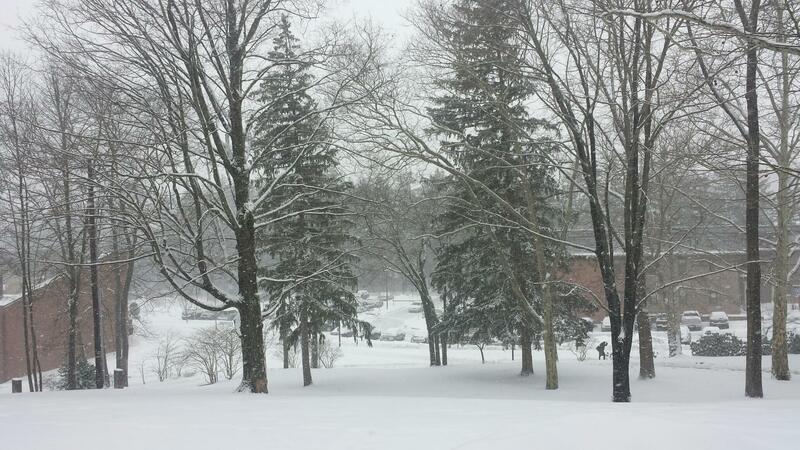 Several campus events for today have been cancelled, while others are still taking place. The college had originally attempted to open for the day, as 8 a.m. classes were in session and morning chapel took place at its normal time. But with several inches of snow continuing to fall and conditions growing slippery, a campus-wide text alert was sent around 10:15 a.m. to inform everyone that Messiah would now be closing. 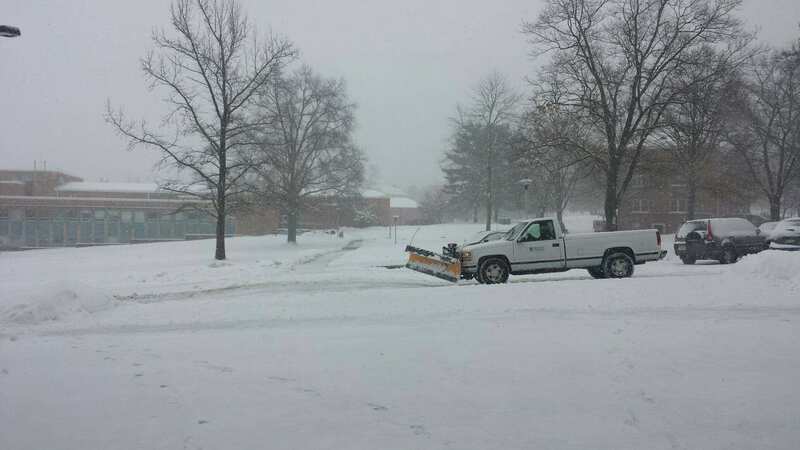 Classes for the rest of the day have been cancelled and employees have been permitted to leave, according to an email from Kathie Shafer, Vice President of Operations. Information is beginning to come in regarding the status of events originally taking place on campus today. Senior Portraits for the Clarion Yearbook will still be held today in the Larsen Student Union at their normal times. Powerhouse is also still scheduled to take place in Hostetter Chapel this evening. The College Honors Program’s showing of the film The Intouchables has been rescheduled to a date and time yet to be determined. The Spring Senior Showcase in the Poorman Blackbox Theater has also been postponed to a date and time yet to be determined. Tonight’s previously scheduled gymnastics event has been cancelled. Student meetings scheduled for various places on campus may still occur, but Shafer noted that any technical support or catering previously planned for such events will not be provided. Information on the availability of the Fitness Center will be posted on its door. Information on services/events for today will be updated throughout the day as gathered.